(Nepal Foreign Affairs, Kathmandu, Feb 25) Foreign Minister Mahendra Bahadur Pandey has asked to UN Resident Coordinator over his office’s controversial report on security situation in Eastern Nepal. The UNDP has made public its report in Itahari on Feb 16 claiming that five districts of eastern Nepal including Sunari and Pachthar are highly volatile in terms of security. The report also claimed that the situation could go out of control anytime if not addressed properly. At a time when UN was blamed of intervening internal situations of Nepal on the constitution writing process, this report has created further irritants in domestic forces and government. ”We asked the the UN resident coordinator on what basis the UN had reached the reported conclusion and why the report was made public at this sensitive time” spokesperson of MOFA Tara Prasad Pokherel said on Tuesday. 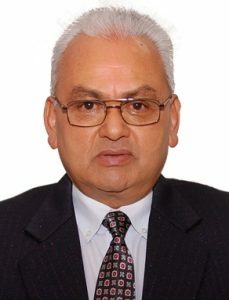 Minister Pandey and acting foreign secretary Shankar Bairagi asked him about reports and also warned not to involve in the internal situations. Either the media misquoted our officials or if the report is such,it’s unfortunate” Pokhrel quoted McGoldrick as telling Minister Pandey,,”we have neither prepared such report nor have any of our officials made such a statement” McGoldrick said the report was baseless.